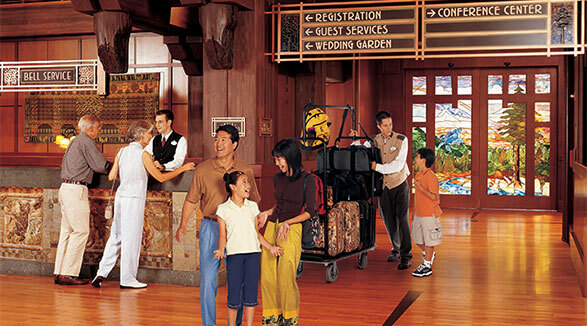 There are three fantastic themed Disneyland® Resort Hotels; Disney's Paradise Pier® Hotel, the Disneyland® Hotel, and Disney's Grand Californian Hotel® & Spa. Each of the three Disneyland® Resort Hotels feature incredible amenities, exclusive perks and their own unique theme. Disney's Paradise Pier® Hotel features a beach boardwalk theme that embraces the essence of Southern California. The Disneyland® Hotel enchants with magical headboards, Monorail waterslides and so much more all honoring the original Disney theme park. Disney's Grand Californian Hotel® & Spa is the grandest of them all with a luxurious California Craftsman theme. Any of the Disneyland® Resort Hotels can be booked as part of our Disneyland® packages. Your family will love DISNEY'S PARADISE PIER® Hotel with perks exclusive to DISNEYLAND® Resort Hotel guests. 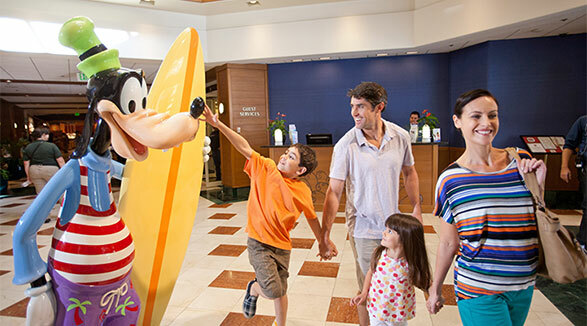 Stay at the DISNEYLAND® Hotel to be surrounded by Disney magic during your entire vacation. DISNEY'S GRAND CALIFORNIAN HOTEL® & Spa is the grandest of the three Disney hotels and is the only hotel that is located inside a Disney theme park.